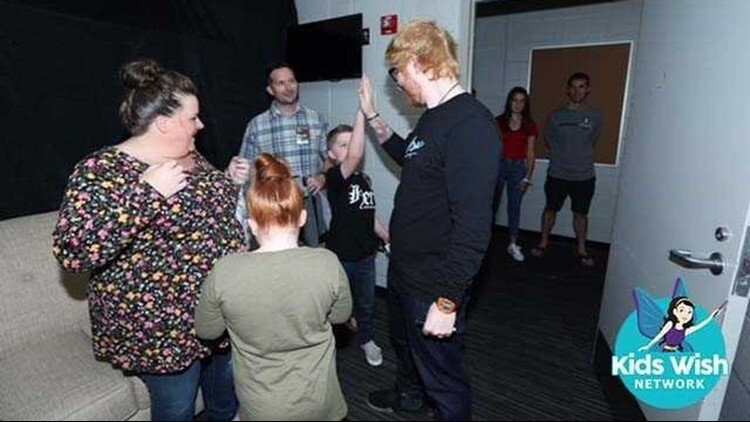 Carter was surprised with a chance to meet his idol, Ed Sheeran, backstage. 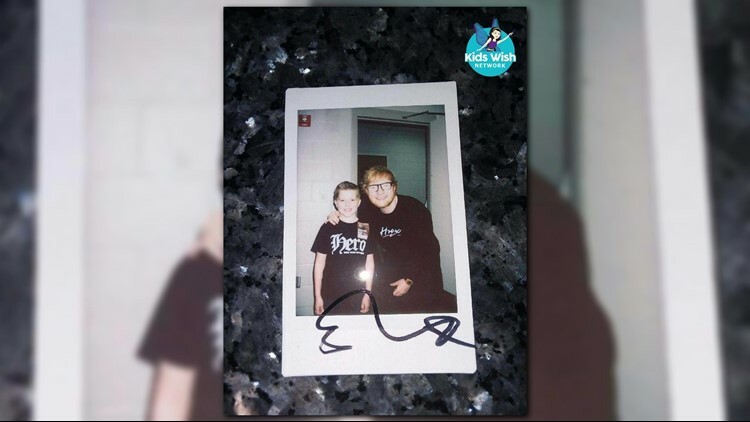 Carter Wagner, a boy from Chesapeake with an autoimmune condition, was granted his Perfect wish by the Kids Wish Network, meeting Ed Sheeran. 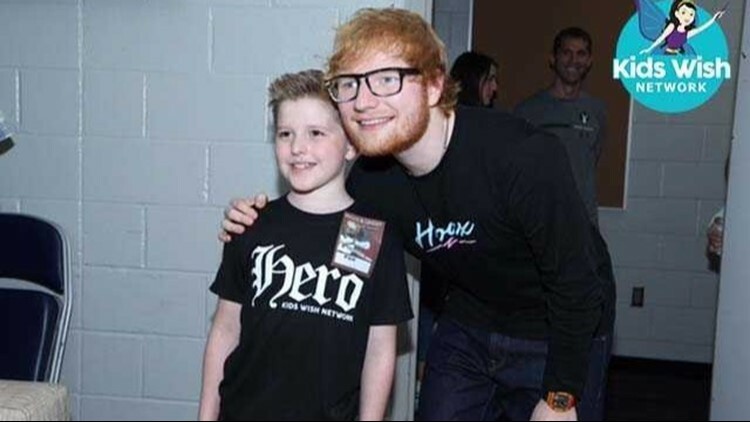 BOSTON, (WVEC) — Carter Wagner, of Chesapeake, had his Perfect wish granted by the Kids Wish Network: meeting Ed Sheeran. Carter faces challenges every day from an autoimmune condition, but his happiness comes from spending time with his family and listening to Sheeran's music. 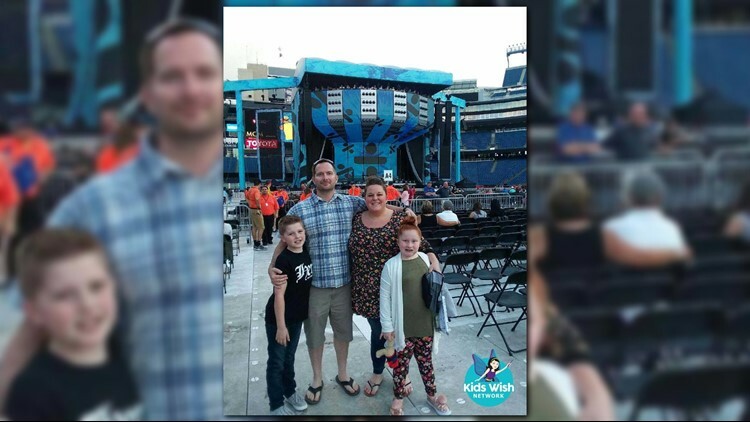 The Kids Wish Network, a children's charity that grants wishes for kids with life-threatening illnesses, helped Carter with his wish of seeing the British singer play in concert with his family, but they threw in a surprise. 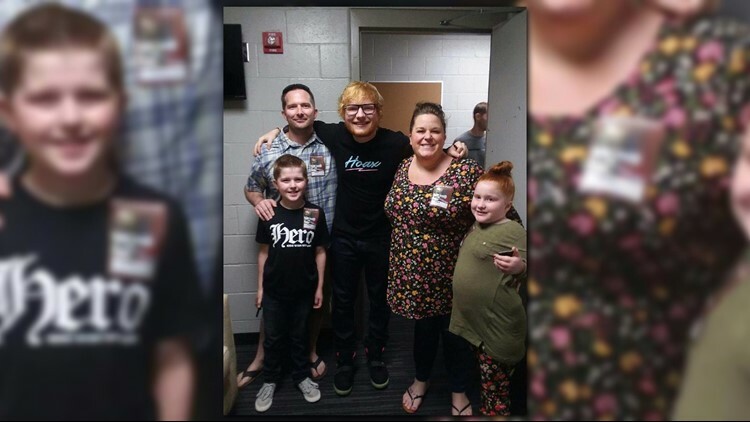 Carter Wagner and his family got to see Ed Sheeran in concert at Gillette Stadium. Carter and his family were flown out to Boston to see Ed Sheeran play at Gillette Stadium, and hours before the show, Carter found out he would get to meet his idol backstage! Carter with his favorite singer, Ed Sheeran, before the superstars Boston show at Gillette Stadium. "I was surprised and nervous," said Carter. "It was crazy...I didn't think I'd ever be meeting him." His favorite Sheeran song is Photograph and he got to take many with the singer, but his favorite is a Polaroid of them together that Sheeran signed. Carter had a lot of photos taken with the superstar, but his favorite photo is of him and Ed Sheeran that the singer autographed. Carter was able to talk to Sheeran about that concert being his first and his favorite songs by the singer. "The wish was perfect," said Carter's mom Christine. "He was thrilled and full of excitement. We're so grateful and had the best time." Tam Lai, with The Kids Wish Network, expressed the organization's happiness that Carter had the experience of a lifetime with his family. Carter and his family talked to Ed Sheeran before the show got started. While in Boston, the family stayed at the Battery Wharf Hotel and ate at Red Robin and Wahlburgers. All of the companies made sure that Carter's wish experience was extra special.